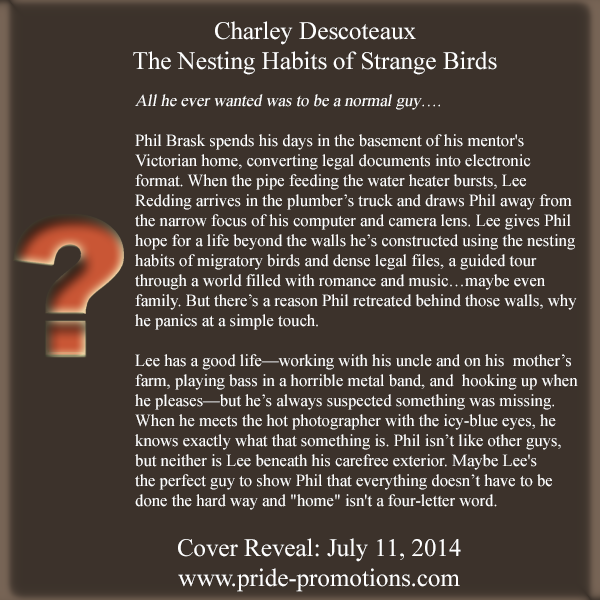 COVER REVEAL and Guest Post! 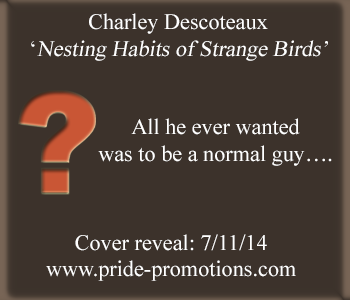 The Nesting Habits of Strange Birds by Charley Descoteaux | Because two men are better than one! 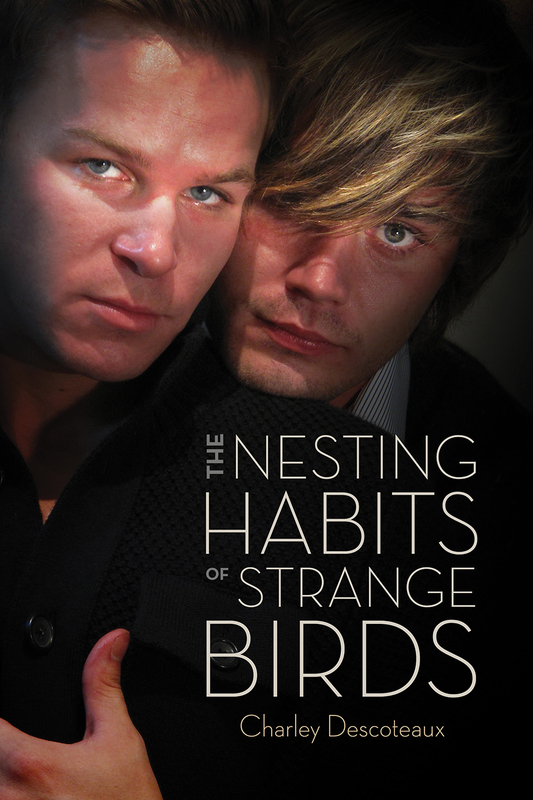 Today we are pleased to welcome Charley Descoteaux, to share with us about her new book, The Nesting Habits of Strange Birds. Don’t forget to enter the GIVEAWAY at the end of the post plus Charley is donating money to a good cause for every book pre-ordered so make sure to hit those Buy Links. 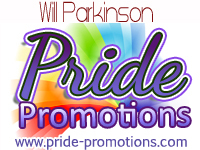 First I’d like to thank Pride Promotions for arranging this tour, Because Two Men are Better Than One for inviting me to visit their lovely space, and D.W. Skinner and Paul Richmond for my gorgeous cover! Pre-order from Dreamspinner Press here.